I have been hearing a lot lately about tens units! Since I have, what is sometimes pretty painful neck pain I thought I would give it a try. I received Tens Handheld Electronic Pulse Massager Unit from Santamedical and my husband and I have both been very happy with the results. 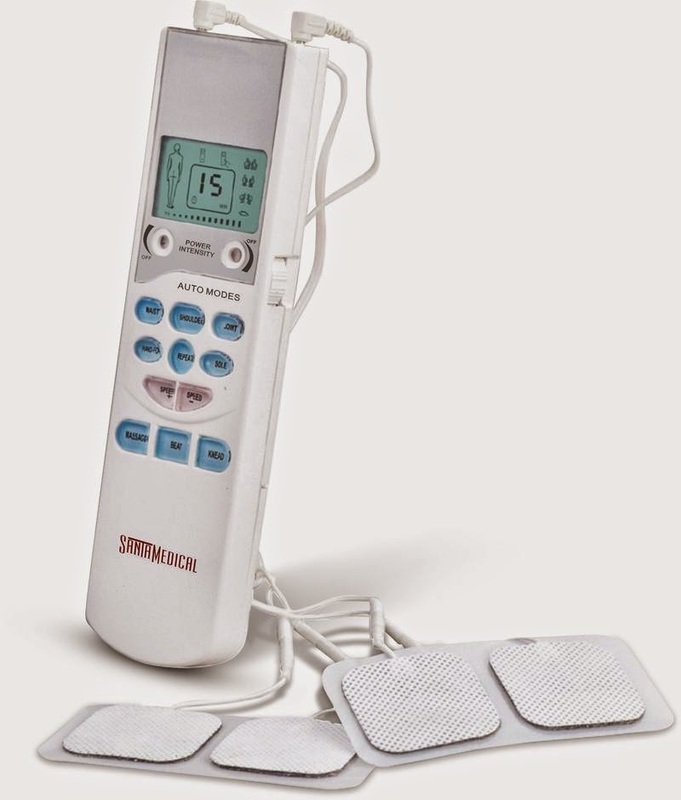 It is very easy to use, you simply place it on your spot of chronic pain or stiffness and set it to the massage setting that you want. A medium intensity massage works well for my, but because my husband has pain in his lower back, he has found a higher intensity works best for him. While I found that it feels really nice at nigh time and for a few hours after, I think my husband likes it more than I do! I have found him sitting with the Tens Machine on his back each and every night as he finishes up the work he has brought home with him. He said it really relaxes his aching back muscles and helps him unwind for the day! Small and Lightweight - At only 5.3 Oz, is no bigger than a remote control, this unit packs enough power to thoroughly massage your body, but can travel with you anywhere you like. I used one of these for my Carpal Tunnel. I liked it actually. It did seem to work for me too.